Today i will discuss how to Configure IGMP Port Parameters in ZTE OLT. Table 14 describes ranges and default values of IGMP port parameters. 2. Use the interface command to enter GPON-ONU interface configuration mode. 3. Use the igmp enable command to enable interface IGMP protocol. 4. Use the igmp fast-leave command to configure IGMP fastleave function. 5. 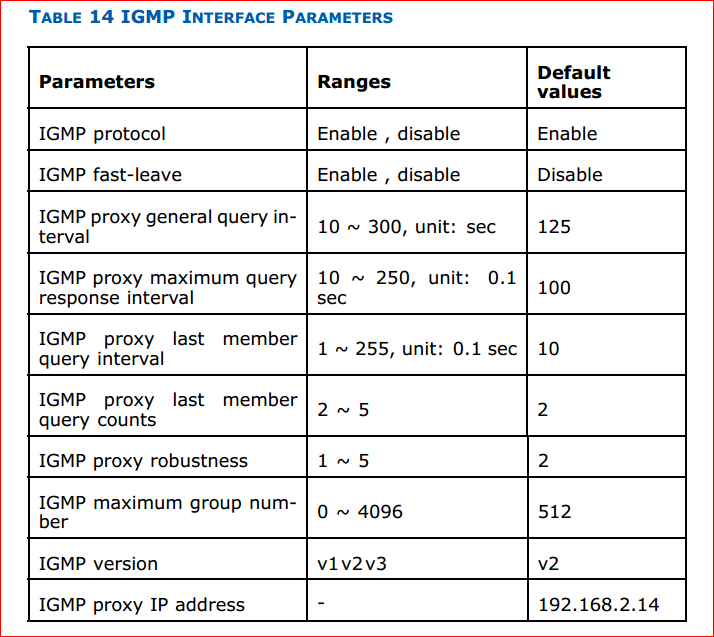 Use the igmp query-interval command to configure IGMP proxy general query interval. 6. 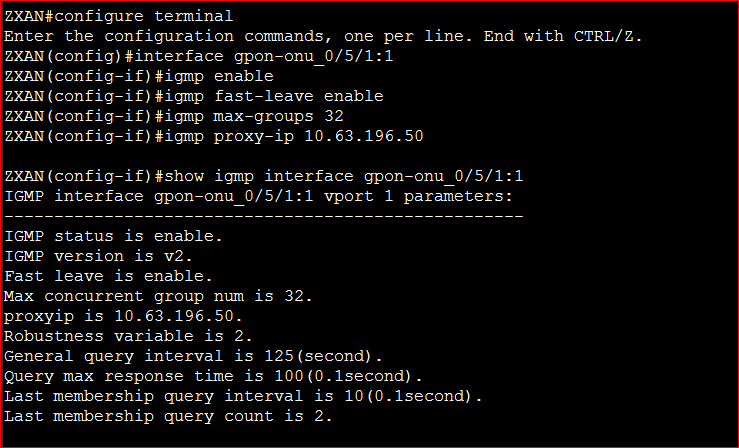 Use the igmp query-max-resp command to configure IGMP proxy maximum query response time. 7. Use the igmp last-query-interval command to configure IGMP proxy last member query interval. 8. Use the igmp last-query-count command to configure IGMP proxy last member query count. 9. Use the igmp max-groups command to configure IGMP maximum group number. 10. Use the igmp version command to configure IGMP version. 11. Use the show igmp interface command to query IGMP interface configuration. Max concurrent group num is 32. General query interval is 125(second). Query max response time is 100(0.1second). Last membership query interval is 10(0.1second). Last membership query count is 2.